Evolving from Luti-Kriss, the original Norma Jean line-up featured everyone from Luti-Kriss, except a different bass player and a percussionist in place of a turntablist. In 2002 the band released Bless the Martyr and Kiss the Child on Solid State Records and in March of 2005 they released their second album, titled O God, the Aftermath. Their original vocalist Josh Scogin left the band shortly after the release of Bless the Martyr and Kiss the Child, stating that "it was just something that I felt led to do." Original bassist Joshua Doolittle also left the band around the same time as Scogin. Doolittle was replaced by Jake Schultz in 2003. Scogin left the band and later went on to start The Chariot; he was replaced by Brad Norris for about a year and a half. He was later replaced by Cory Brandan, formerly of the bands Eso-Charis, Living Sacrifice, and Uses Fire, who can be heard on Norma Jean's second album O God the Aftermath and their latest album Redeemer. The new album was recorded with producer Ross Robinson. The artwork for the band's second album, O God the Aftermath was nominated for Best Recording Package at the Grammy Awards of 2006. The artwork was designed by Ryan Clark. On September 21th, 2007, drummer Daniel Davison announced that he would be leaving the band after their current tour ended, via the band's official website. His last show was on November 7, 2007 at Irving Plaza in New York, NY. On December 17, 2007 Norma Jean announced that they would start writing for their new album in January, record in April, and will be playing the entire 2008 Warped Tour. Writing was officially announced on January 24th. 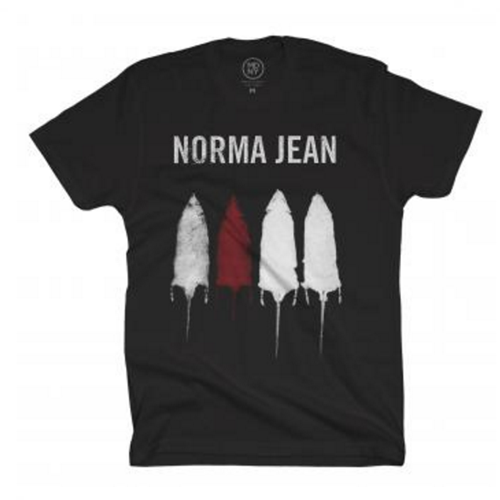 On February 13, Norma Jean announced in a Myspace bulletin that they are "about 6 songs deep" and writing a song with Page Hamilton of Helmet. They will have other guest writers, and will not just have a brief vocal apperance, but will help them write full songs.